All over the country people are trying to catch ‘em all. Pokemon Go has taken smartphones by storm. The fun is catching as many different Pokemon as possible. The added bonus is getting to explore your city, town, region or you vacation location in a whole new way. 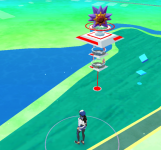 Delaware is a great place to start filling up your Pokedex – with a wide variety of locations to find different kinds of Pokemon, lots of interesting Pokestops and many nearby gyms. If you don’t know what Pokemon Go is, here’s a quick summary. Pokemon is a popular video game, card game, TV show, movie franchise, etc. where “trainers” catch and battle creatures with special powers. The new smartphone app uses what’s called augmented reality to let players walk around as if they were trainers in the Pokemon universe. There are many places in Delaware that are chock full of Pokemon, Pokestops and gyms. Take the state capital, Dover. If you’ve never been to the capitol building, known as Legislative Hall, take a walk over. You’ll find it surrounded by Pokestops and with a gym at a large statue out front. You may spot historic monuments, outdoor artwork, interesting businesses you never knew were there. This Congressional Medal of Honor Memorial is a Pokestop. You pick up a few Pokeballs, maybe an egg or a potion. 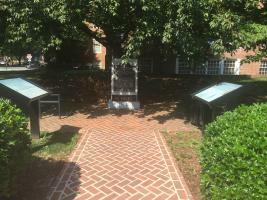 And at the same time you can read about the memorial and who it honors. There are dozens of locations like this around Dover and many, many more across the state. The varied terrains across Delaware also make the state a great place to catch lots of different types of Pokemon without having to travel far. 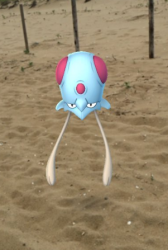 Water Pokemon will seem to be jumping right out of the water and onto your phone’s screen along the Delaware Beaches – Tentacool, Squirtle or Krabby. There are nearly 20 state parks that are not only beautiful to walk around but also home to tons of grass and bug types – Bellsprout or Butterfree. Psychic Pokemon – Psyduck or Abra – are also known for roaming around both grassland and beach areas. Share photos of what you’ve captured and where with us on Twitter and Instagram using the hashtags #VisitDE and #Delagram. And if you need inspiration for places to go Pokemon hunting, try these rundowns of Delaware’s top attractions, its state parks and historic sites. Before you head out, consider downloading the passport to one of Delaware’s Trails of Discovery – Beer, Wine & Spirits, History, Outdoor, Culinary or Geocaching Trails. Visit enough spots on a certain trail, and you won’t just get a bunch of Pokemon, you’ll be able to get a free prize from Visit Delaware. 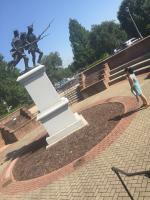 So, go enjoy a day of walking around Delaware. You never know what you’ll discover! *Please be careful while playing Pokemon Go. Be aware of your surroundings at all times, and be respectful at solemn locations.